Mayor: 3-D mammogram saved my life. Our reviewers: wrong message. A hospital wishing to promote its new 3-D mammography equipment couldn’t ask for much more than this: stories on Fox News, by WSB Atlanta, by WWMT in Kalamazoo, Michigan, in the Tulsa World, the Associated Press and Sacramento Bee and Charlotte Observer, the New York Daily News, and more. 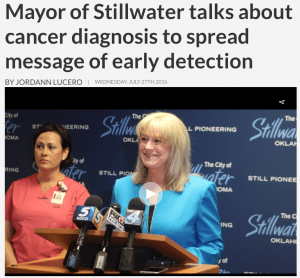 It all happened because Mayor Gina Nobel of Stillwater, OK, announced in a news conference that 3-D mammography at Stillwater Medical Center saved her life. 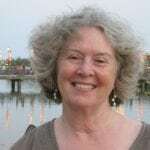 She said that the technology found an early Stage 0 cancer, or ductal carcinoma in situ – DCIS – a non-invasive form of cancer that many experts believe should not even be called a cancer. Was she the perfect messenger? “There are so many misunderstandings in this news coverage that it’s hard to know where to begin. 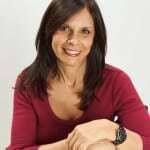 My heart goes out to this woman who thinks she “has cancer”(Stage 0) , that her life has been saved, and that she can be assured 3-D technology “virtually eliminates the need for further testing.” As any breast cancer survivor knows, even the best diagnosis and treatment insure neither health nor life. 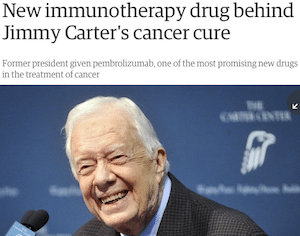 And cancer is an illness that is monitored for the rest of life. That last point is one that jumped out at me immediately. A mayor, who sits on a hospital Board, is urged by the hospital to get a 3-D mammogram and then she ends up endorsing the hospital’s approach. That is a tangled web of conflicts of interest. And not a single journalist commented on it. 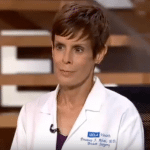 She explains that survival rates (from breast cancer or overall) for women with DCIS diagnoses approach 100% regardless of whether a woman gets treatment or what type of treatment. Dr. Attai says 3-D tomography has been shown to improve cancer detection rates in patients with dense breast tissue, but that it has not yet been shown to improve the survival rates. “If a mass is seen, additional imaging such as ultrasound will still be recommended, and biopsy may be required for concerning masses or calcifications. That statement is very misleading. Politicians and hospital marketing and gee-whiz journalism and breast cancer screening are not a good mix. As these stories show, it is a recipe for misleading information. If you missed it, see our earlier post about singer-celebrity Sheryl Crow’s misleading promotion of 3-D mammography. Those of us in the trenches who advocate on behalf of breast cancer patients know the pain and anger caused by the abundance of feel-good articles on screening. The message isn’t helpful because it isn’t true, yet the group I work for is still approached by media looking for a lead on a “mammogram-saved-my-life” story, and are puzzled when we don’t comply. There is nuance to this issue, and you’ve spelled it out clearly in a manner that’s both helpful and true.